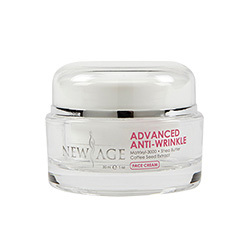 New Age Cream Reviews: Does This Product Really Vanish Wrinkles? New Age Cream Reviews: Does This Cream Really Repair The Skin Damage? New Age Cream, approximately US $90 based on reports, is an anti-aging product exclusively available when you sign up for free trial online via the official product website or through affiliate marketing websites. There is no information available about the makers of New Age Cream. New Age Cream must be applied as part of your morning and evening skin care routines, making sure to use it only after thoroughly cleansing and toning your skin. Always wear sunscreen during the day to counter any possible photosensitizing effect mostly associated with anti-aging ingredients. This product is available via a limited time free trial offer that lasts only 14 days. 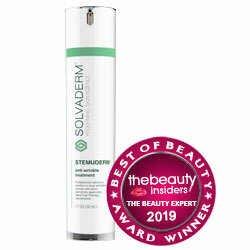 The 14 day free trial offer is too short of a period for you to make an assessment as to whether or not this product benefits your aging skin or not, that’s because most topical anti-aging products, including the best ones, take at least between 60 to 90 days to show the slightest evidence of improvements. There is no available information about this product’s manufacturer, except for a mere mention of New Age Skin Care, LLC, based on information from what appears to be its official product website, except that it’s possible that the official website may have been shifted several times before. Critical New Age Cream reviews have advised potential customers to read the fine print from cover to cover before signing up for free trial and sharing your personal, including credit card, information with this company.